2.1 openSUSE News: openSUSE 11.3 Milestone 3 is out! 9.1.4 Gustavo Noronha: WebKitGTK+ 1.1.90 is out! 9.2.1 Linux.com/Jennifer Cloer: One Year Later: What Do You Think of Linux.com? Welcome to issue # 115 of openSUSE Weekly News. This eleventh Week of this year was very interesting. We've made a Call for Participation in translating our Weekly News into other Languages. And we've got many Feedback. So we're saying "Thanks for all". From the Weekly News Front we're discussing at the Moment on opensuse-marketing about the Content and Layout from our News. Feel free to subscribe that List, and help us to grow up. openSUSE News: openSUSE 11.3 Milestone 3 is out! "The third of seven scheduled milestone releases for 11.3 was completed and released on schedule. Milestone 3 focuses on using GCC 4.5 as the default compiler, leaving a great deal of the work in the hands of the openSUSE Build Service after a few issues (such as kernel panics) were resolved." Thanks to Dmitry serpokryl (The author of SOAD), to make it possible!" "Yesterday Andrea aka anubisg1 announced the Live CDs for LXDE, which he built in Build Service with the help of Dmitry Serpokryl. It was a very easy task for me to replace LXDE packages with Xfce ones in kiwi definition, so I can present you the Xfce Live CDs! I’ve created an entry in our Derivates page and you can download the images from this location. The default user is linux with no password, user root uses the same empty password." "During last two week I was among the other things investigating how to implement search through all openSUSE web pages. As part of our Umbrella project, we want to make all our webs look unified and search through all of them is a part of this goal. So what I tried and what are my conclusions? Let's see..."
"This sprint was running from March 2nd to March 16th. Its was a rather quiet sprint. The three milestones progressed nicely but nothing to spectacular. Also it was a rather dull week on the general side of things around our team." "In January, the Build Service squad of openSUSE Boosters worked to improve the openSUSE Build Service web client experience. One focus was to make it easier for project maintainers to review and accept package submissions from contributors. As explained in detail in the Collaboration article, when a contributor has made a local change to a package in her branch of a project, she then submits a request to merge the changes back to the original project (‘osc submitrequest’). This request is received by the maintainers of the original project, who review it, and then submit it onwards towards openSUSE:Factory, for example, where it is reviewed again. This distributes the workload of assembling a distribution by using the ‘many eyes’ typical of Free Software development in a structured way." "This weekend, as mentioned in my previous post, I visited the Chemnitzer Linux Days to run the openSUSE booth! It was my first visit to Chemnitzer Linux Days and I really have to say I was impressed, not only by the amount of visitors but also by the organization, everything worked flawlessly, this also had a major downside the catering was very good ;) Of course our booth was also running flawlessly because of the help from Petr, from the openSUSE Boosters team, and Kai-Uwe, he is developing color management applications, a big thank you to both of you for your support." "I think I have to say a few words about the last weekend. There was an event and I was there. Yeah I was there. That decision wasnt easy for me. But a lot of friends wished to see me there. I decided that really at the last moment and I felt not really lucky there. Yeah I was happy to see many friends and it was a good feeling with the things they said to me. There was e.g. Wobo from MandrivaUser who said to me thx for invite him last year and that he is lucky that they Mandriva Community has now a booth there. There was the “Fedora Gang” with kital and Christoph. There was Unki, Martin, Michael and Roman (juliux was there too but he was on the booth of OTRS) from ubuntu. From Dresden there was Tokoe, Stefan (he was last time here at Launch Party) and Felix for representing the KDE project. This time openSUSE supported KDE with DVDs again but last time I had to carry them a farther way :D (Henne please force Jan next time to take some KDE-CD) There was Matthias and Rainer from the FSF I meet again and a lot of friends more. I can say thats my family because of that I sort this entry in the categorie “Family Affairs”." "Last weekend, I was boosting at Chemnitzer Linux Tage where we ran openSUSE booth with Jan Weber, Kai-Uwe Behrmann and Sirko Kemter. Jan and Sirko already wrote reports at their blogs, so I’ll add just some personal thoughts and remarks." "The Latin American Festival of Installation of Free Software (Festival Latinoamericano de instalación de Software libre) will be held this year in over 213 cities throughout the region, including at least 19 Venezuelan cities, bringing together much of the community of users and developers of open technologies in the country." "Although OpenOffice.org is a competent productivity suite, you can add some nifty features to it using extensions. There are hundreds of nifty extensions available in the official extension repository. Some of them add a feature or two, while others take OpenOffice.org to a whole new level. The AuthorSupportTool (AST) extension belongs to the latter category. AST not just adds some random features to OpenOffice.org Writer, it dramatically enhances the word processor’s functionality, turning it into a powerful tool for working on research papers and complex documents." "How do I display shell command history with date and time under UNIX or Linux operating systems? If the HISTTIMEFORMAT is set, the time stamp information associated with each history entry is written to the history file, marked with the history comment character. Defining the environment variable as follows:..."
"It took me ages to learn bash redirection properly, and I still have to concentrate sometimes to keep my &s and my >s straight. Here's the lowdown in case you, too, have intermittent brain failure on this one. Bash has three standard file descriptors: stdin, stdout and stderr, which refer respectively to input, output and error output. By default, all of these are directed to the terminal, so all input comes from the terminal, and all output (regular and error) will go to the terminal." "If you have read any of the Samba content here on Ghacks you probably will have noticed that within the smb.conf configuration file a line that begins with security =. This is a very important part of Samba setup and generally the section that gives users the most problems. Although the security mode would seem fairly straight-forward, it is certainly worth explaining." "Sockso is a free, open-source, personal music server for everyone! It's designed to be as simple as possible so that anyone with a mouse and some mp3's can get their friends listening to their music across the internet in seconds! Available in Packman Repository." "KMediafactory is easy to use template based dvd authoring tool. You can quickly create DVD menus for home videos and TV recordings in three simple steps." "I’m happy to announce OpenOffice.org 3.2.1 beta1 packages for openSUSE. They are available in the Build Service OpenOffice:org:UNSTABLE project, are based on the upstream 3.2 sources and include many Go-oo fixes and improvements. 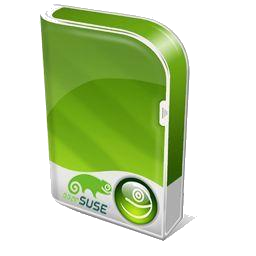 Please, look for more details about the openSUSE OOo build on the wiki page." "Last night the Kraft team was releasing the second beta for Kraft 0.40. A second beta is needed because meanwhile KDE 4.4 was released which comes with the Akonadi based addressbook. That is a big change compared to the old addressbook with a large impact on Kraft. Parts of Krafts addressbook integration had to be rewritten. The Akonadi addressbook interface in the KDE Pimlibs feels like not really being complete yet. With large address books for example, this version of Kraft might show performance gaps." The corner for introducing activities of sub project *inside* openSUSE. "Personally I find that in Linux or any OS for that matter, keeping track of and dealing with bugs can be a real PITA. This may be in part that I'm not a power user of the services available (they don't make it obvious how to fully utilise their service); also there are so many different types of bug trackers out there - bugzilla, trac, mantis, etc; it is also down to so many different projects use their own tracker; one advantage is that code/project hosting sites have their own - SourceForge, Gna!, launchpad, BerliOS, etc. So all projects under these use the same tool/interface. Yes bugzilla is probably the most common, but it is also one of the most modified - no two projects using it are the same and the work flow differs as much as the visuals." "Two days ago the KDE Plasma community announced that they are providing a live image of the Plasma Netbook Reference Platform. They provide this image to make it easy for all interested developers, users, journalists and geeks to check it out, work with, talk about and and improve it. The reference image is the result of an KDE effort utilizing the openSUSE Buildservice and it’s based on the openSUSE distribution." "Can it really be this difficult? Apparently it can! zypper in <package_name> seems to be a fairly basic, easy to perform task. I wonder if this will be solved by the time it's published in the news next week." "A little help in the right direction and we are working toward a satisfied user. But it's another on going thread at the time of entry. Let us see how it works out." "Another satisfied customer gets the right kind of help and now has working wireless. Happy days." "I think this one might go forever. Some clear and simple instructions exist in the forum and there are more than a few well experienced users in on this thread." I announced the ownCloud project during my Camp KDE presentation in January in San Diego. Here is a short overview what we want to achieve with ownCloud." "... This week, we took another big step. We’ve published the source code for SILK in an Internet Draft that we submitted to the Internet Engineering Task Force (IETF). This means that anyone and everyone can now see, download, use and improve upon the software*. More importantly, this represents a key step in the development of an international standard for a wideband codec for use on the Internet." "Just in time for EclipseCon, Eclipse 3.6 M6 is now available for download. I’m pretty excited about some of the new features in this milestone, especially some of the things from PDE. Feature based launches (and feature based targets) should make bundle management a lot easier." Gustavo Noronha: WebKitGTK+ 1.1.90 is out! "We’re coming close to GNOME 2.30 release date, and we are getting ready to branch a stable release off of WebKit’s svn trunk in preparation for that. The idea of the stable branch is to try to maintain, and improve stability, with no additional features going in. Speaking of features, though, if you’ve been paying attention you will have noticed WebKitGTK+ has come a long way, now. We came from not having basic features such as download support or openning links in new tabs, a more-or-less working HTML5 media implementation, and very few or missing in action developers to a thriving project, that gets more, and more attention, and contributors every day, with advanced features available, and rocking HTML5 media support that leaves little to be desired. It’s been just over one year since we started rolling mostly bi-weekly releases, each adding more awesome features." Linux.com/Jennifer Cloer: One Year Later: What Do You Think of Linux.com?
" This month marks the one-year anniversary of Linux.com in its newest form. A year ago, we built the site based on your rankings of features on IdeaForge. Today, we want to hear how you’re using Linux.com and what is most useful. And perhaps even more importantly – what isn’t useful. We also want to better understand who is using the site so we can provide resources that specifically meet your needs. So, we’re launching a short survey today to gather important input on where we go from here. We will review the results at our annual Linux.com Planning Meeting at the Collaboration Summit in April where the 2010 Linux Gurus (to be announced shortly) will review the findings and help us determine what’s next for the site. Please take five minutes to fill out the 8-question Linux.com Community Survey." "A couple of days ago Frank released the first beta of ownCloud and I've been playing with it almost continually since then. For those who haven't read Franks blog entry (which is well worth reading) ownCloud is a set of server scripts for personal storage (among other things) and hopes to implement an open source cloud for everybody to take advantage of. If that doesn't make sense, wait for the screenshots :-) New features are planned (and you can see exactly what those features are at ownCloud.org.)" "The Plasma Netbook Reference Platform is a Linux-based software distribution that gives you quick access to the KDE Plasma Netbook experience. It's designed to be easy to get: If you have a 2 GB (or larger) USB memory stick and a device (laptop, netbook, tablet) that can boot from a USB stick, you are one download, two (copy and paste) commands and a few minutes away from having the latest build of Plasma Netbook up and running." "While reading The Ruby Programming Language I wrote a couple of notes about the language comparing it to C#. This is the first post of the series talking about those notes. C# and Ruby share a similar syntax to compare equality in objects. Both use the operator equals (==) and, at least, one method to compare. Ruby uses equal? and eql?, C# uses Equals. Also, both support overriding the equals (==) operator to provide a different logic in case that’s required. The methods’ name are different but they work pretty much the same. Understanding the difference between both languages is really simple. If you already know the difference between reference types and values types you are pretty much all set." "According to the Top 500 Supercomputer sites, Linux is powering nine of the ten largest supercomputers in the world. Six of these are running Suse Linux Enterprise Server, Novell is pleased to point out." "Courtesy of Neilsen data and info-graphics at the BBC, a new visualisation has been created to explain the interactivity of users and the sites they visit in the main browsing areas of the world, including the US, Australia, Brazil and a half-dozen European countries." "Today, Mar. 16, has been filled with Linux and cloud news — which is great, I guess, if you're ready to trust your data to the cloud. In case you don't follow Linux as closely as I do, here's the short version: Red Hat and Novell have joined up with IBM to provide a new open cloud environment that goes by the unwieldy name Smart Business Development and Test on the IBM Cloud. " "In January, Novell released its SUSE Appliance Toolkit after nearly a year of alpha and beta testing. Now begins the difficult task of getting systems, middleware, and database software makers to rejigger their code and make it available through the online tool so companies can spin up and spit out software appliances. Today at the Open Source Business Conference in San Francisco, Novell and open source database maker Ingres are touting the fact that the latter company's eponymous database is now available through the SUSE Appliance Toolkit." "MonoDroid, which will enable deployment of .Net-based applications on Google Android phones, is in development at Novell, with a preview release planned for August, the head of the project said. The runtime project is part of Novell's Mono effort, which has been responsbile for putting Microsoft .Net-based technologies on Linux and other non-Microsoft platforms." Office suites lack glamour. They're perfunctory, practical and prosaic. They remind us of real work, mundane chores and things that need to be done. But that's also why they're essential and why OpenOffice.org is a vital part of the free software ecosystem, whether it innovates or not." "A number of humorous yet undocumented features are hiding beneath the surface of some of the most popular open source software applications. Although easter eggs are generally easy to spot when you can look at an application's source code, there are a few that aren't widely known." "Linux is cool, Linux users know that much. There are a lot of cool things Linux, and to kick off, here is one of them: A linux beer machine." lists.opensuse.org has 37280 (+12) non-unique subscribers to all mailing lists. The openSUSE Forums have 43662 (+333) registered users - Most users ever online was 30559, 08-Jan-2010 at 13:06. 4437 (+27) of 11486 (+72) registered contributors in the User Directory have signed the Guiding Principles. The board has acknowledged 395 (+0) members. The Build Service now hosts 11574 (+162) projects, 91996 (+178) packages, 20553 (+430) repositories by 21979 (+114) confirmed users. This page was last modified on 2 October 2010, at 13:06.